Designed for professional video surveillance applications, the XR5R931 HDCVI Digital Video Recorder (DVR) PCI Express add-in card features four Exar S7100 software configurable processors and two XR5P920 HDCVI video decoders. 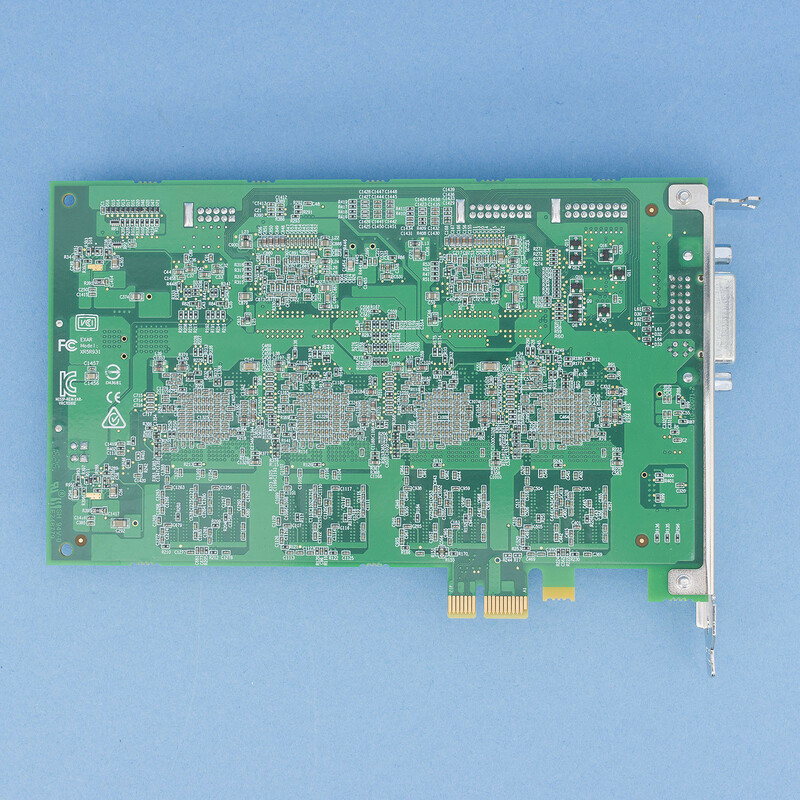 This HD DVR card enables capture and compression of 8 channels of high-definition video at full 1080p resolution and frame rates of up to 30Hz. The XR5R931 also offers Host Monitor Output (HMO) of the uncompressed HD video. Using HMO, multiple channels of video can be scaled, tiled and displayed in user-defined layouts on a high-definition PC monitor. 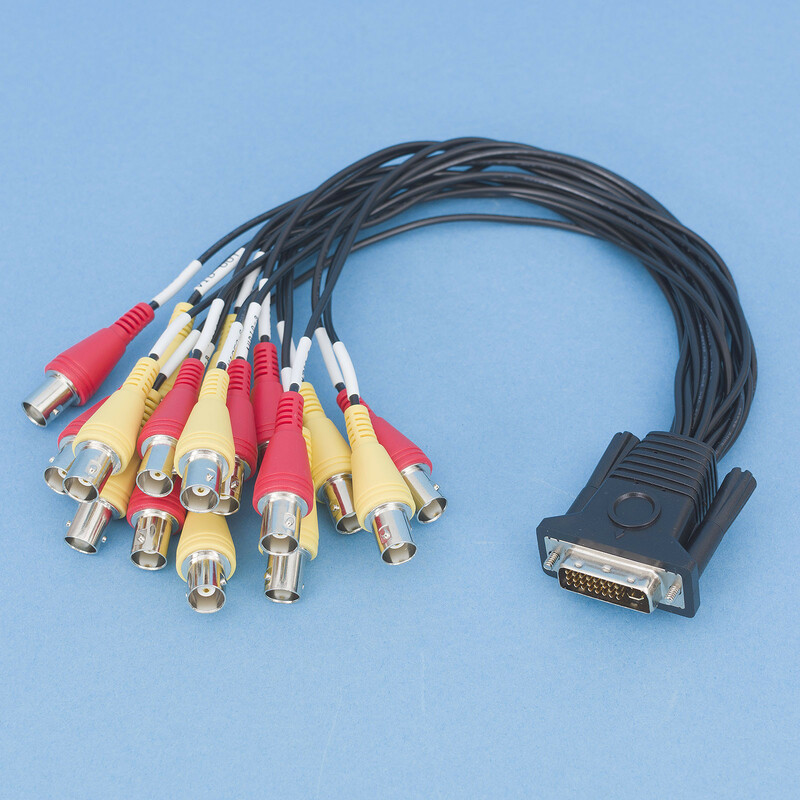 This provides users the ability to capture and display multi-channel HD video without the loss of fidelity often associated with the compression of IP video. The S7100 programmable accelerator at the core of the Exar Intelligent Encoder delivers multi-stream encoding of baseline, main and high-profile H.264 Advanced Video CODEC (AVC). In addition, the S7100 video processor drives H.264 Scalable Video CODEC (SVC) compression that enables flexible and efficient resizing and resampling of multi-stream surveillance video. The XR5R931 is designed specifically for video surveillance equipment OEMs. The card is controlled via the Intelligent Encoder Software Development Kit (SDK) for either Linux or Windows. The XR5R931 is also compatible with all other Exar S7000-based PCIe cards. OEMs already familiar with the SDK can integrate the card into their software in a matter of hours. With clear SDK documentation and support of Exar application engineering, new design teams achieve rapid time-to-market solutions. 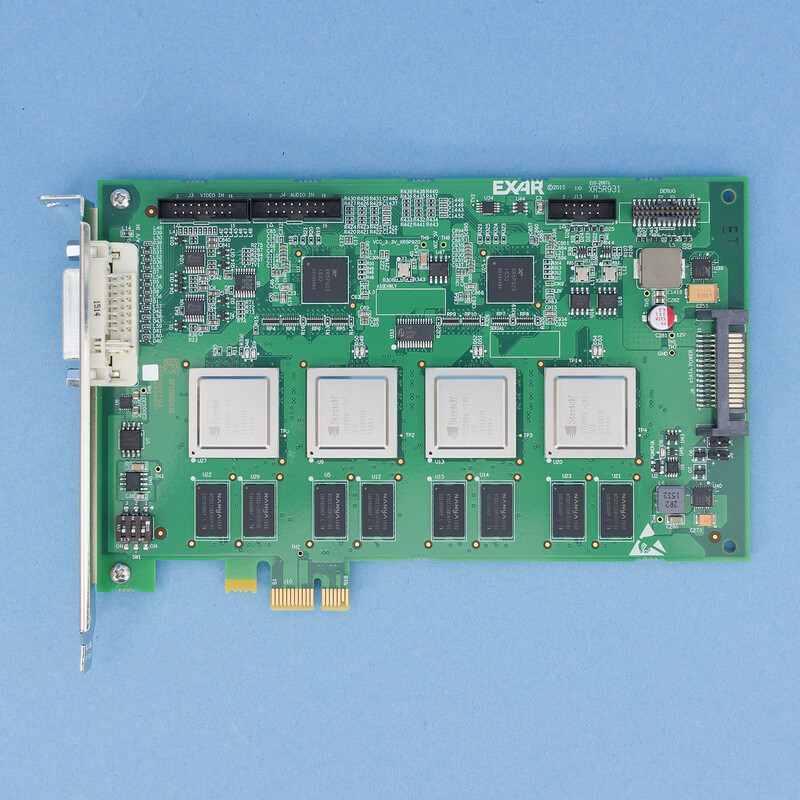 The high-bandwidth PCI Express interface provides connectivity to the host Video Management System (VMS) and is readily embedded in compact industrial PCs and servers. The card also supports eight channels of alarm I/O and an RS-485 interface for remote camera control through an I/O header with an optional I/O card.